If you are unable to convince someone you care about or feel like you are losing them to a drug and/or alcohol addiction problem, Louisiana Intervention Specialist Carmine Thompson and his Treatment Team can help. Louisiana Intervention Specialist Carmine Thompson has a 98% success rate. He is clearly one of the most skillful interventionists in this country. He and his treatment team have been helping families for over 20 years. The techniques they’ve developed for alcohol, drug addiction, mental disorders and behavioral health interventions have improved current methods used throughout the industry today. 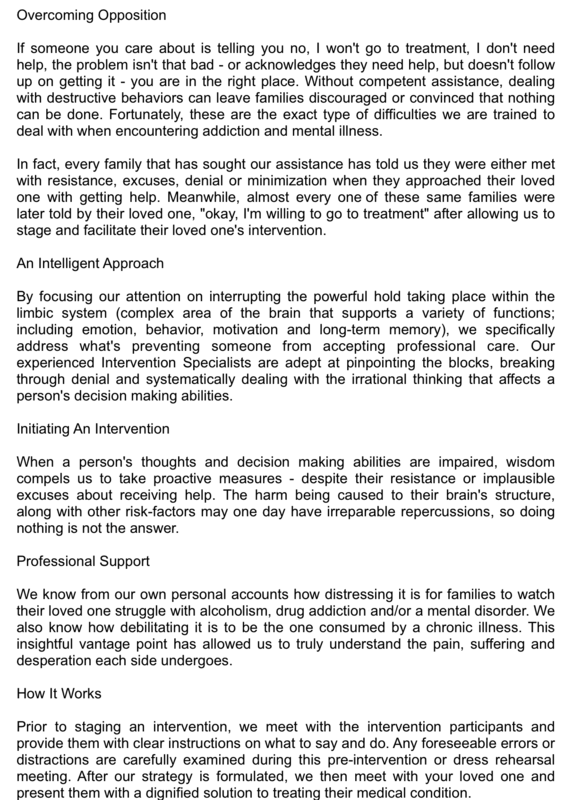 Their expertise has significantly reduced further damage from occurring to already strained relationships, while substantially increasing the odds of getting those suffering from destructive behaviors successfully into a treatment programs and rehab centers.